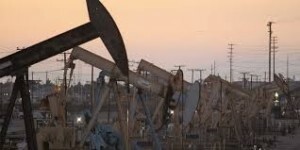 Crude oil settlements finished slightly lower on Tuesday as the International Energy Agency cautioned that a rebalance of the global oil market cannot be achieved if action is solely based on an extension to the OPEC production cut agreement, according to Bloomberg MarketWatch. June West Texas Intermediate crude slid 19 cents, or 0.4%, to settle at $48.66 a barrel on the New York Mercantile Exchange. July Brent crude, the global benchmark, dipped 17 cents, or 0.3%, to end trading at $51.65 a barrel on the London ICE Futures Exchange. 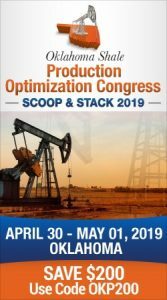 On Tuesday, the IEA reported that extending the oil output cuts may not help trim global stockpiles to the required five-year average. The agency’s report undercut some of the enthusiasm following the recent statements made by the energy ministers from Saudi Arabia and Russia, who announced their support for a nine-month extension of the current production output agreement. A weekly update on petroleum supplies is due out from the American Petroleum Institute late Tuesday. The U.S. Energy Information Administration will release its data early Wednesday. Analysts polled by S&P Global Platts forecast a decline of 2.2 million barrels in crude oil stockpiles. On the New York Mercantile Exchange, June natural gas ended at $3.23 per million British thermal units, down 3.6%.